Cost-effective network enhancements are on the mind of every carrier and service provider. Worldwide Supply wants to make it easy and affordable for you to expand optical networks and Ethernet transport capabilities, so we stock a full line of used and refurbished Nortel OM6110 and OM6130 models, right-sized for you. 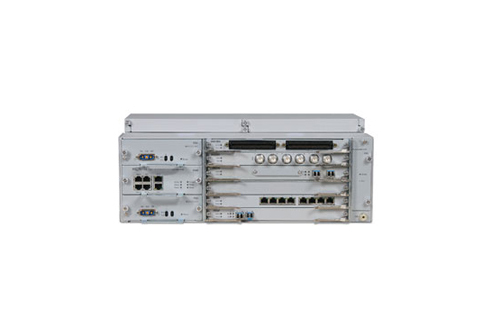 Nortel’s Optical Multiservice Edge 6110 and 6130 are low-cost access options for multiservice deployments, tailored for your deployments on a customer site or where you need a smaller service capacity. By supporting the larger optical edge network, these OM models put the punch you need in a shorter form factor that decreases a full range of your costs. Both Nortel OM6110/6130s can boost your existing TDM DS1/E1s, DS3/E3s and 10/100BT and Gigabit Ethernet deployments. Give your revenue services the improvement they need with a variety of aggregation interfaces specific to your customer and network needs. You need to enhance single and protected networks with mission-critical applications and protocols. Don’t settle. Worldwide Supply ensures you’ll have the right equipment thanks to OEM-certified technicians, a world-class repair and testing facility, an expansive international distribution and parts network and 24/7 support. We ensure that all refurbished Nortel OM6110 and Nortel OM6130 units surpass OEM-requirements to bring reliable service backed by a lifetime warranty. Choosing a used Nortel OM6110 below will boost your network’s performance at a rate you can scale and grow without harming your overall budget. Plus, Worldwide Supply will work with you to purchase your used Nortel OM6130 and 6110 equipment as you grow to maintain your revenue channels. Give your network what it deserves with powerful Ethernet transport tools like the Nortel OM6110/6130.